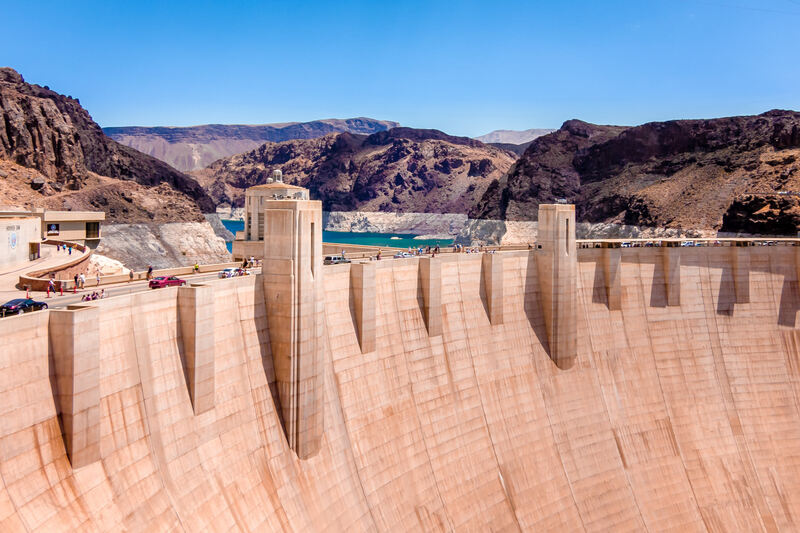 The Lake Mead side of Hoover Dam, showing the 395-foot-tall intake towers that supply the electricity-generating turbines inside the structure with water. 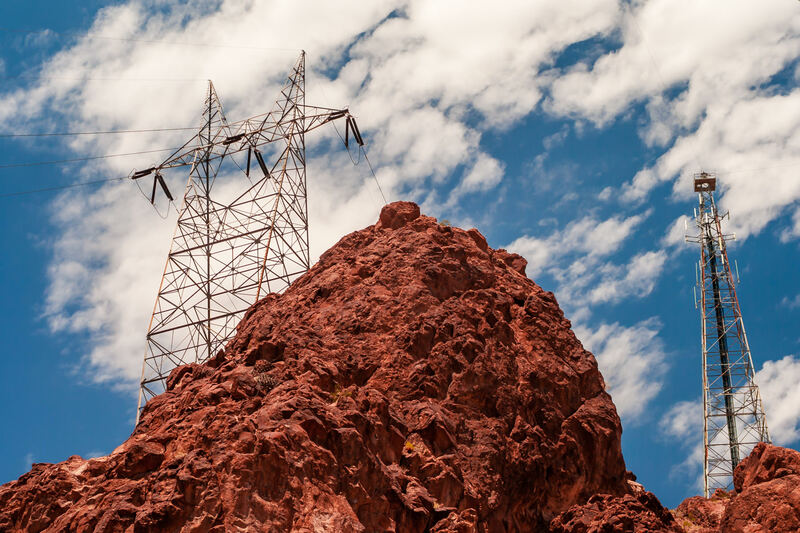 A power line pylon perched atop a rocky outcropping near Hoover Dam, on the Nevada/Arizona border. 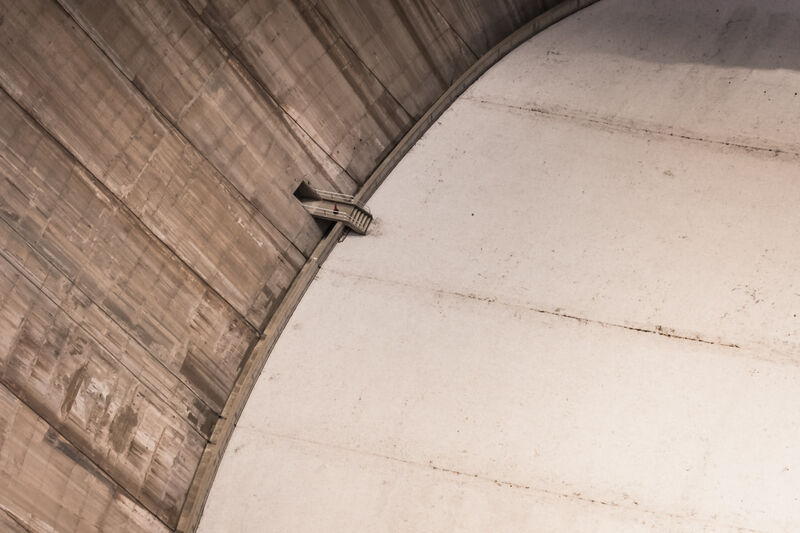 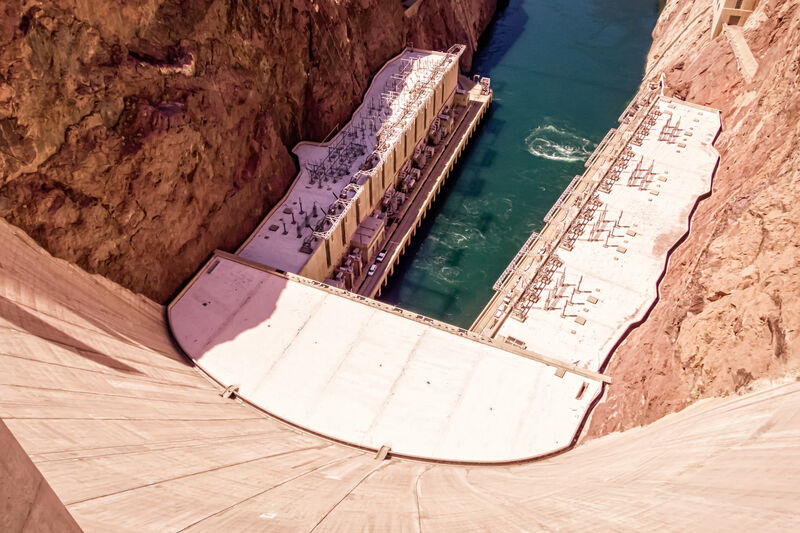 Stairs lead to a maintenance door at the base of Hoover Dam‘s 726-foot-tall face, on the Nevada-Arizona Border. 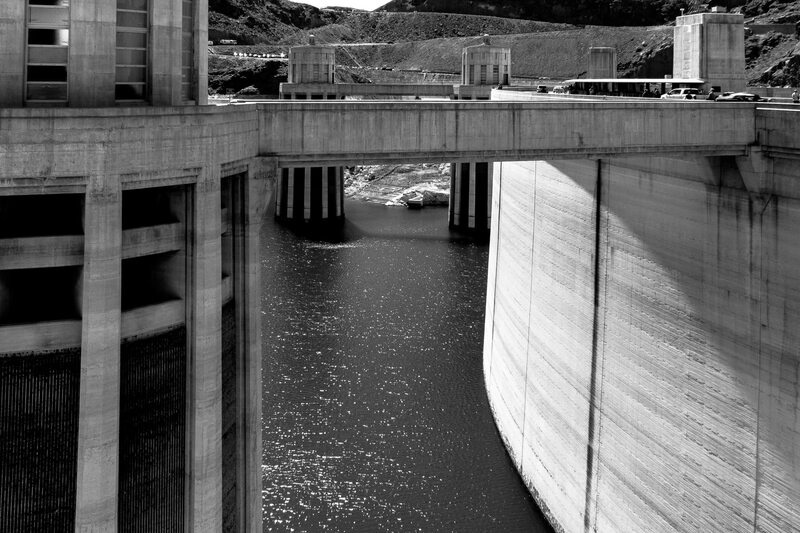 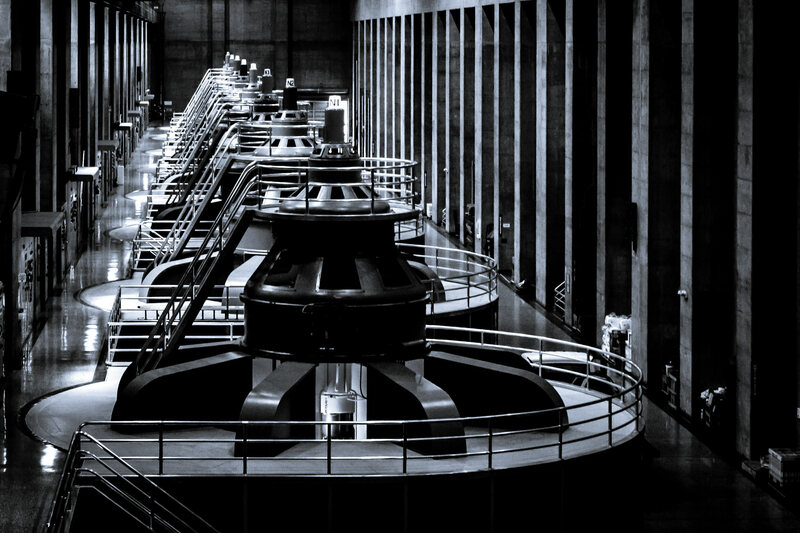 One of the two massive electrical generator rooms at Hoover Dam. 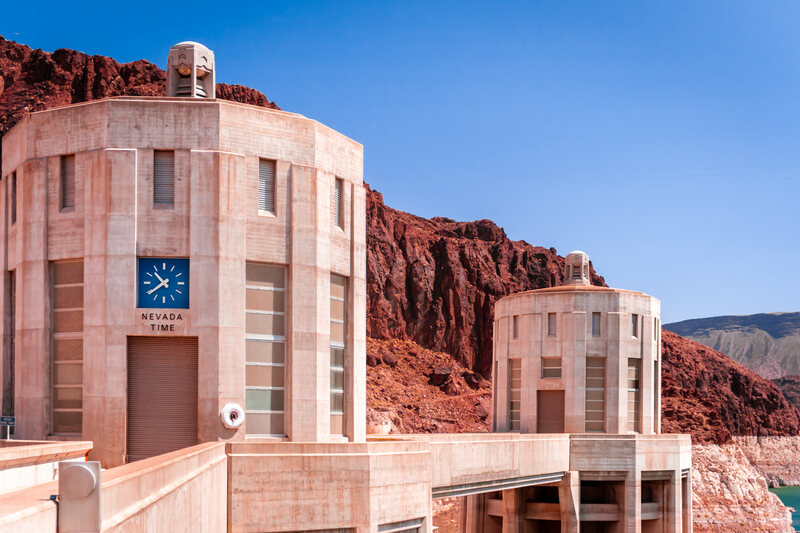 A clock reminding that the west side of Hoover Dam along the Arizona/Nevada border is in the Pacific Time Zone rather than Mountain Time. 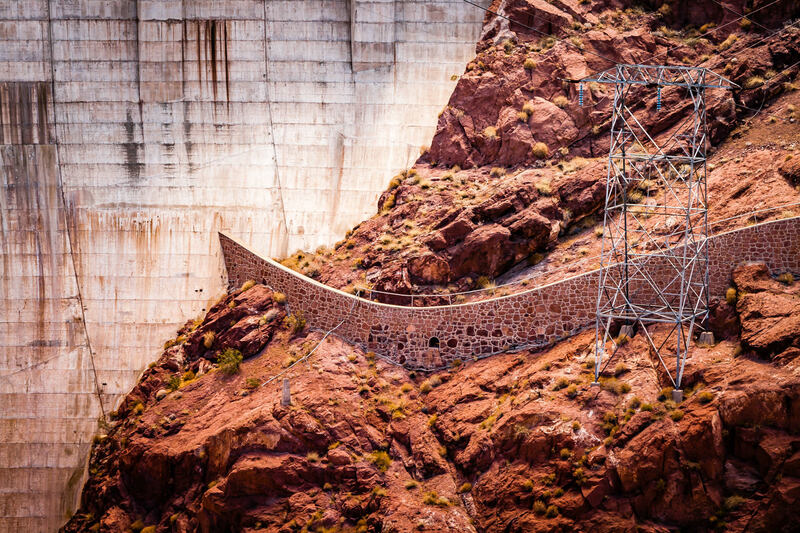 A rock retaining wall and electrical tower next to downstream face of Hoover Dam. 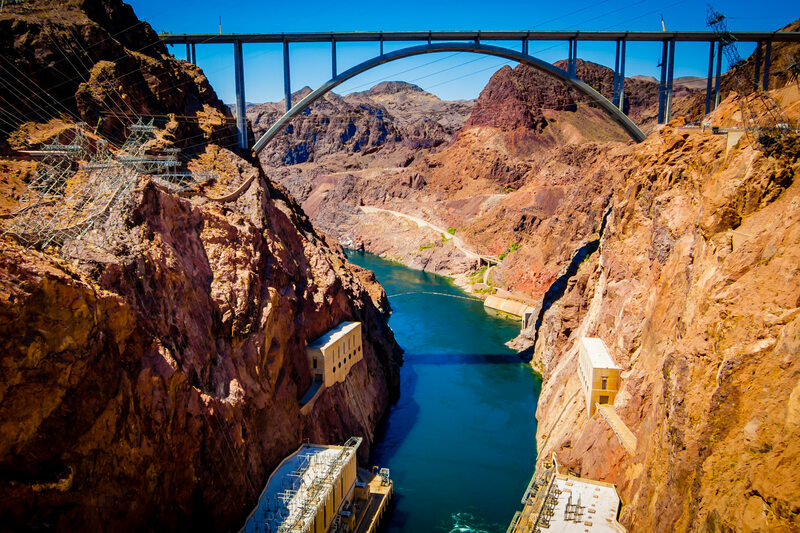 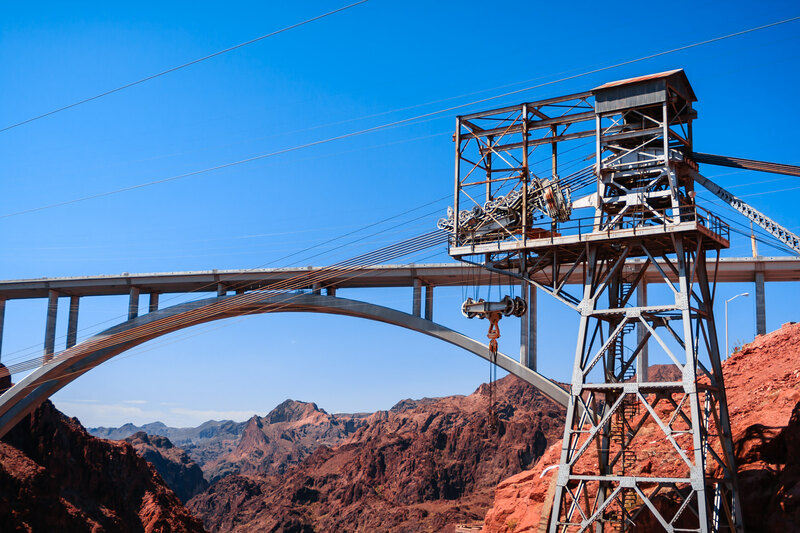 Looking down the 221 meter (726 ft.) tall Hoover Dam on the Colorado River at the border of Nevada and Arizona.